The 80th Annual Southwest Open was held from 29th August to 1st September at the Doubletree DFW Airport North in Irving, Texas, USA. The event had three sections – Open, Reserve (U2000), Novice (U1400) – and a scholastic event. 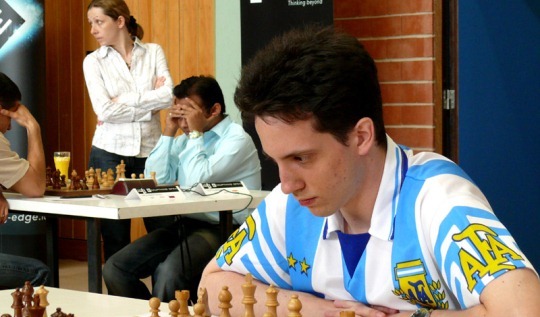 The sections were played over 7 rounds of Swiss system, while the scholastic event was one-day 5-round Swiss. The main Open section had 69 participants from 10 countries, including five Grandmasters and six International Masters. Grandmaster Leonid Kritz (GER 2588) finished clear first with 6,0/7 points to take the top prize of $1000. Full standings below. The event was organized by Luis Salinas and Brian Yang, chief arbiter was Lakshmana Vishwanath.